Genuine John Deere OEM Retainer #R105230. A genuine John Deere #R105230 Retainer. A genuine John Deere #M78194 Shaft. A genuine John Deere #GX22833 Drive Cable. Genuine John Deere M126636 Extension Spring. 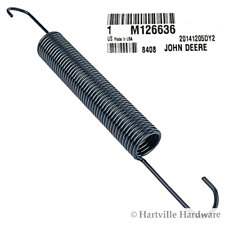 A genuine John Deere #M126636 Extension Spring. Also known as a Traction Drive Belt Tightener Spring. A genuine John Deere #AM137724 Fuel Cap. A genuine John Deere #AM118447 Pulley With Dampener. A genuine John Deere #AM133692 Ball Joint. Genuine John Deere OEM Ball Joint #AM133692. Zenith carburetor kit 33 series fits carb #'s 13845 13850 13882 13887 13898 13907 13908 13921 13976 13986 13988 13994 13996 14003 14006 14010 14024 14027 14030 14031 14033 14043 14111 14156 14163 14174 14176 14192 14194 14985 14989 15049 15053 15058. A genuine John Deere #M140669 Left Side Front Bumper. For B Series 6 Cylinder Engines 6B, 6BT, 6BTA or 6BTAA. Replaces Cummins no 49276975. EAPR - TOP E. ALL photos. An oversight or lack of knowledge on our part is NOT an attempt to deceive or mislead. Prior authorization is required. We make no claims as to how or if they will work for your application. T353F Massey Ferguson 4-3/4" PTO Shaft Adapter Female 6 Spline 1-1/8" to 1-3/8"
Replaces part number T353F. Heavy Duty PTO Adaptor will increase shaft size from 1 1/8 in. to 1 3/8 in. Female end 1 1/8-6 spline x male end 1 3/8-6 spline, 4 3/4" total length. Replaces part number T353F. New step to fit Oliver 1750, later 1800's, 1850, later 1900's, 1950, 1950T, 2050, 2150 tractors. 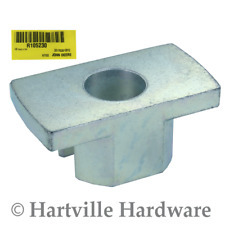 John Deere #M81463 Steering Shaft Bushing. A genuine John Deere #M81463 Steering Shaft Bushing. A genuine John Deere #LVA16535 Air Cleaner Strap. Genuine John Deere OEM Strap #LVA16535. NEW Newly manufactured, bellcrank adjusting Link for 200, 230, Super C. The IH reference part number is 517824r1. A genuine John Deere #M113955 Mower Deck Roller. John Deere #M113955 Mower Deck Roller. You may also be interested in. Thread Size 5/8" 18UNF. 1410 &1412. 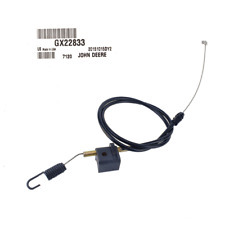 For David Brown Temperature Sensor. A genuine John Deere #M156827 Spring. WE CARRY MANY OTHER FARMALL PARTS! Must transfer nut to new unit. Nut is SAE #8 x 32 pitch. A genuine John Deere #M132706 Bushing. 4 Blade Fan made to fit Massey Ferguson Tractor models: 135, 150, 165, 230, 235, 245, 20, 20C, 30, 30B, 30D, 40, 203, 205, 2135 Diesel, 2200, 3165 Continental Diesel. 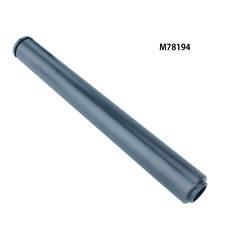 Replaces Part Number: 194046M91, 194046V91, 194946M91, 3638250M91, 3638342M91, 521031M91, 825181M91. A genuine John Deere #GX22545 Idler Pulley. A genuine John Deere #M88184 Deck Drive Belt. Fits Model : 7275 7300 7305 7530 7532. FUEL FILTER with o rings FOR CUB CADET. Easy & Secure. Kumar Bros USA. is in no way affiliated with any OEM manufacturers. All OEM part numbers and logos are used for identification purposes only. A genuine John Deere #M73114 Extension Spring. Three color coded wires, black for ground, red for continuous hot and orange for keyed hot. A Genuine John Deere #GY21099 Blade Spindle Assembly. 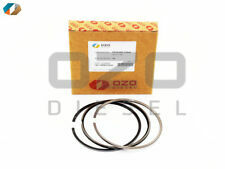 LIFT COVER SEAL REPAIR KIT FITS FORDSON MAJOR POWER MAJOR SUPER MAJOR TRACTORS. Fits - Fordson. Major, Power Major and Super Major tractors. LIFT COVER, PUMP AND CYLINDER O - RING / SEAL KIT. ALL MAJOR CREDIT AND DEBIT CARDS ACCEPTED. Replaces original part no. EAE6055E, ENO20-0078. NAA (Jubilee), 2000. Cylinder Liner. Flood Work Light. Fits John Deere Tractor(s) 4040, 4050, 4055, 4240, 4250, 4255, 4440, 4450, 4455, 4555, 4560, 4640, 4650, 4755, 4760, 4840, 4850, 4955, 4960, 7200, 7210, 7400, 7410, 7510, 7600, 7610, 7700, 7710, 7800, 7810, 8100, 8100T, 8110, 8110T, 8200, 8200T, 8210, 8210T, 8300, 8300T, 8310, 8310T, 8400, 8400T, 8410, 8410T. 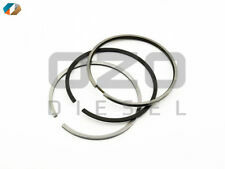 Fits for John Deere Models: LA100, LA105, LA110. Replaces Part Numbers : AM137328, AM137333, AM141033, GX22151, GY20850. Center Hole : 7 Lobe (7 Star Pattern). Fit Model : D1005 ENGINE. FUEL PIPE SET FOR Kubota. Kumar Bros USA. is in no way affiliated with any OEM manufacturers. All OEM part numbers and logos are used for identification purposes only. A genuine John Deere #MIU11358 Valve Cover Gasket. A John Deere #GX10120 Extension Spring. Genuine John Deere OEM Extension Spring #GX10120. A genuine John Deere #AM103286 Igition Switch. Includes one key. Replaces AM32318. 200, 208, 210, 212, 214, 216. Sprocket Weld Able # 60 Chain 26 teeth X-Series Fits X-Series Hubs.